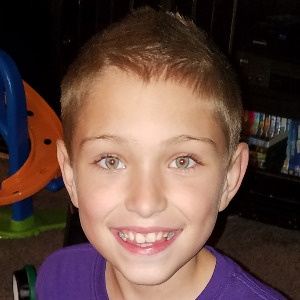 Hi, my name is Gage, and I'm a voice for Childhood Cancer. Please donate to my page and together we can make a difference! Amazing boy raising money for an amazing cause !! You rock buddy ! We're so proud of you Gage! You have such a kind heart buddy! We are happy to sponsor you!! Great Job!!! Proud of you!!! Thank you for having me as part of your team. You are doing a great job. Keep up the awesome work! Way to inspire others to help with this worthy cause. You are a rock star, Gage! Proud of you Gage, a good thing your doin! We are so proud of what you are doing! You are making a difference in this world! Be Proud of what you believe in Gage, truly awesome! I'm so proud of you, Gage! You go, Gage!!!!!! Shave, shave, shave!!!!!!! Auntie and uncle are so very proud of you and your huge heart buddy! We love you the most! Proud of you Gage !!! We are so proud of you for being a voice for Childhood cancer!!! We love you to the moon and back to the dirt! I'm so proud of your huge heart buddy!